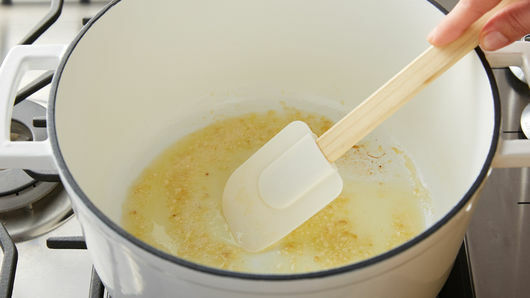 In 4- to 5-quart Dutch oven, heat butter over medium heat. Add garlic; cook 1 to 2 minutes, stirring frequently, until garlic is tender. 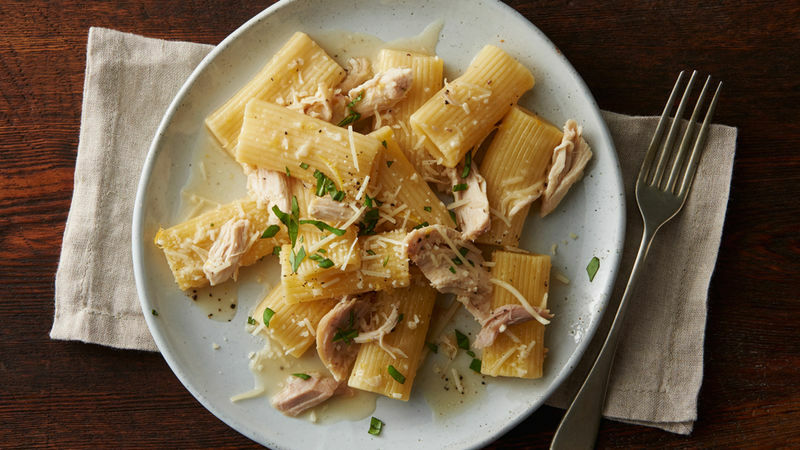 Add chicken broth, lemon juice, rigatoni, salt and pepper. Heat to boiling. 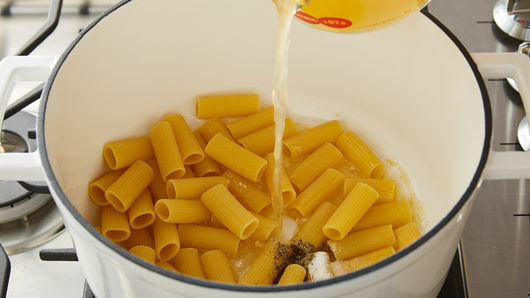 Simmer uncovered 14 to 16 minutes, stirring occasionally, until pasta is al dente and most of liquid is absorbed. Stir in chicken; continue heating 1 to 2 minutes or until heated through. Remove from heat; stir in grated lemon peel, and top with Parmesan cheese. Garnish with chopped fresh basil. 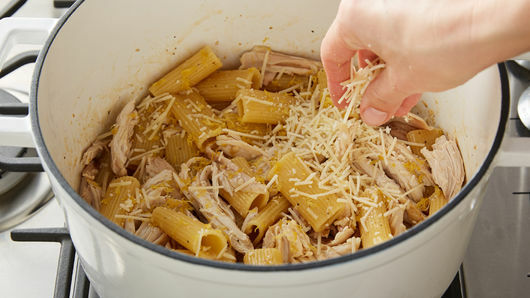 Deli rotisserie chicken can be purchased already shredded, which helps make dinner prep quick and simple!